How Much Will Charitable Donations Lower My Taxes? 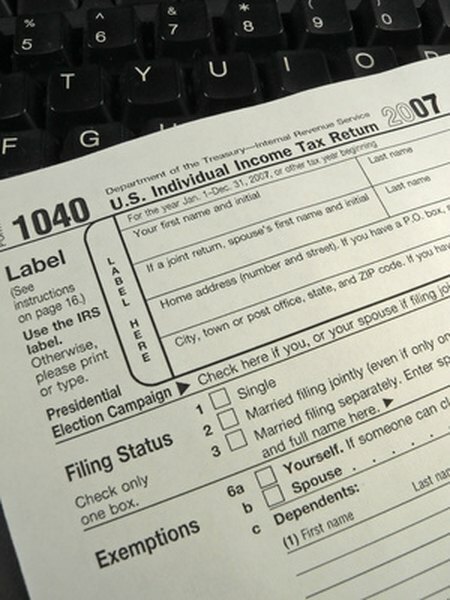 You must file Form 1040 to claim charitable donations. 1. How Much Tax Do You Get Back for Every Deduction? Whether you're cleaning out your garage, getting rid of items your kids left when they moved out, or just making a donation out of the kindness of your heart, your charitable donations might help lower your income taxes. However, you can only deduct contributions to qualified organizations, such as nonprofit schools, community organizations and religious groups. In addition, not all qualified donations will end up lowering your taxes. Charitable donations will only lower your taxes if all of your itemized deductions are higher than the standard deduction set for that tax year. To claim a tax deduction for charitable contributions, you have to itemize your deductions. The value of the standard deduction depends on your filing status and adjusts annually for inflation. Other itemized deductions include state and local income taxes, mortgage interest and investment expenses. If your itemized deductions wouldn't exceed your standard deduction, it makes financial sense to choose the standard deduction. In this case, you can't claim a deduction for your charitable donations: your donations won't reduce your taxes one penny. The value of your donation generally equals the fair market value of what you donated. However, if you paid less for the item you donated than its worth, you're usually limited to deducting the amount you paid for it. For example, if you bought canned food on sale and then donated it to charity, you could only deduct what you paid for the food, not the higher fair market value. Donated cars have special rules: if the charity sells the car, the tax benefits of donating a car are limited to the price it sold for. If the charity uses the car, you can deduct the fair market value as a charity tax deduction. Your charitable donations for the year cannot exceed 60 percent of your adjusted gross income. Contributions to certain organizations, such as nonprofit cemeteries or veterans organizations, are limited to just 30 percent of your AGI. Appreciated property, such as stocks, are further limited. Donations of appreciated property are limited to 30 percent of your AGI, even if you donate them to organizations that are typically subject to the 60 percent limit. Such contributions are limited to 20 percent of your AGI, if you donate them to organizations that are usually subject to the 30 percent limit. Any excess can be carried over to the next year, however, for up to five years. If your itemized deductions exceed your standard deduction without your charitable donations, you can estimate your tax savings by multiplying your marginal tax rate by the value of your deduction. Your marginal tax rate is your highest income tax rate. For example, if you fall in the 33 percent tax bracket for the 2017 tax year and you make a $20,000 donation, your deduction will save you about $6,600. If your itemized deductions do not exceed your standard deduction, calculate in the same way, but using only that amount by which your charitable donations bring your itemized deductions higher than your standard deduction. For example, if your other itemized deductions are worth $2,000 less than your standard deduction and you donate $8,000, subtract $2,000 to get $6,000. Then, if your marginal tax rate is 33 percent, multiply 0.33 by $6,000 to estimate your savings at $1,980. For the 2018 tax season, the tax brackets have changed, but the calculations for itemized deductions remains the same. Standard deductions also rose with single and married couples filing separately getting a $12,000, married filing jointly getting $18,000 and head of household qualifying for $24,000. Do Charitible Contributions Affect Income Taxes? How Much Can a Married Couple Claim for Donations on Their Taxes? How Do Donations to 501(C)3 Work in Taxes?